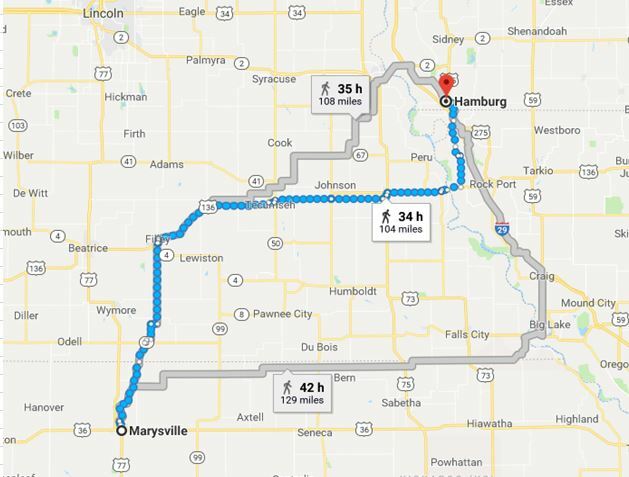 The latest destination on my Virtual Hike was Hamburg, Iowa. Hamburg, Iowa is a town that has a lot of meaning to me as my Family History there goes back to the 1870’s and possibly a bit earlier. Since the town was incorporated only in 1867, you can say that they were there since almost the very beginning. More on some of those family connections in future posts. You can see that the hike from Marysville was only 104 miles. I passed by a lot of interesting places along the way, especially once I made it to Rock Port where I also had family living near in the 1870’s. Hamburg is not very large, with only a little over 1,000 inhabitants today. Back in the early 1900’s however it was twice as big. 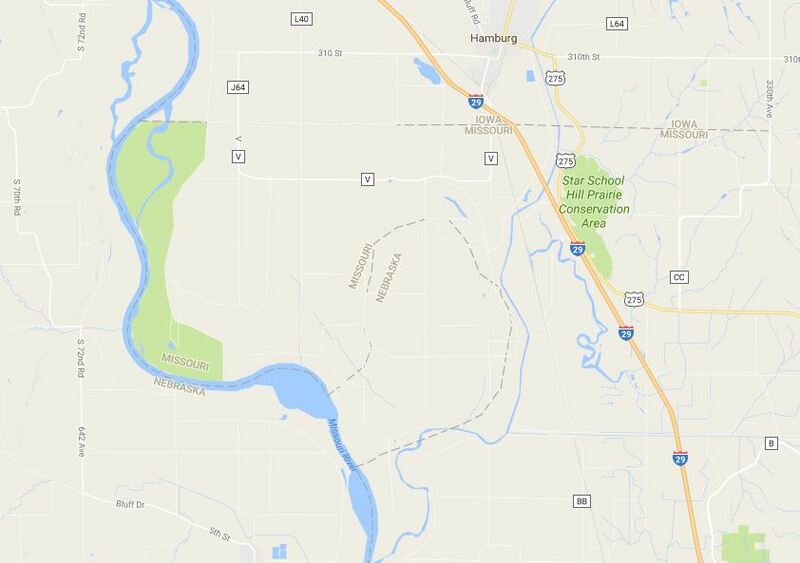 You can see here that Hamburg is very close to the Missouri border. It is also only about four miles east of Nebraska. However, Hamburg is actually only about two miles from Nebraska, as it is also to the south. To learn more about why a part of Nebraska is in Missouri, see my post Missouri River Border Anomalies. Here is a screen shot from Google Maps Street View that shows two iconic Hamburg sites. 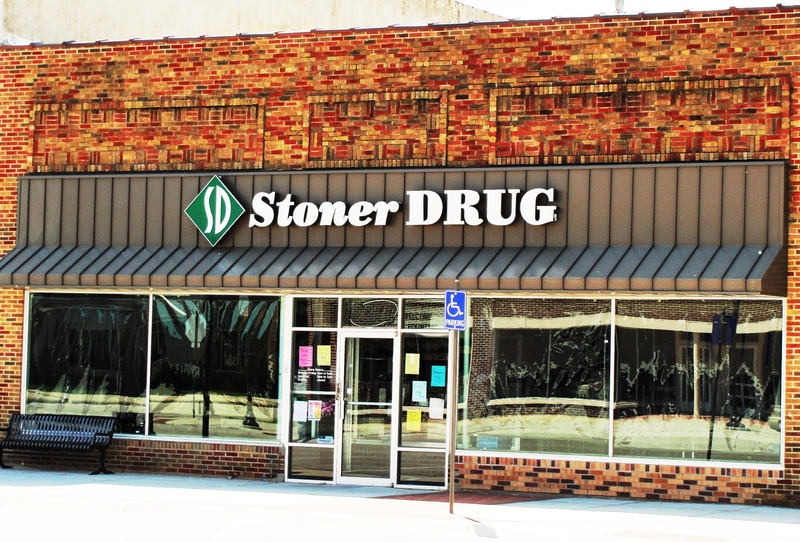 Stoner Drug is an old time drug store complete with a soda fountain. I have many memories of going there when visiting my grandparents. Click on the link for more about the drug store. Another great memory of Hamburg is the flag pole in the middle of the intersection. I also have many memories of the Hamburg Church of Christ. 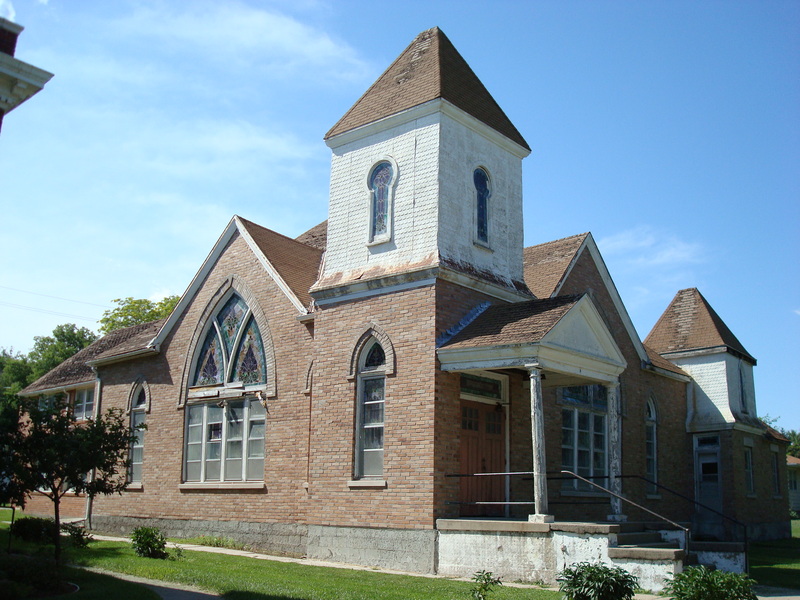 My family goes back many generations with this congregation and it is said that one of my ancestors even helped build the building. Today the building has been restored and it is a community center. I could write a lot about Hamburg, and I already have. You can find more posts about Hamburg by using the search bar. The next destination on my Virtual Hike will be in Missouri before again turning north into Iowa. 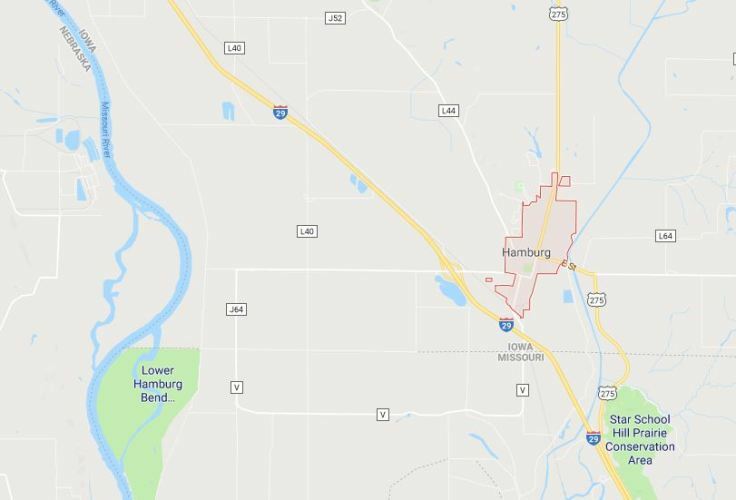 Have you been to Hamburg, Iowa? 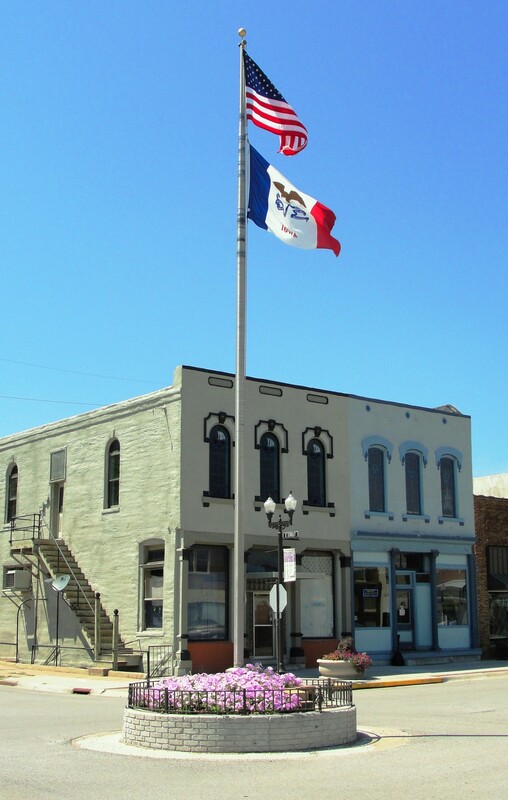 This entry was posted in Family History, Memories, Travel, Virtual Hike and tagged Flag Pole, Hamburg, Hamburg church of christ, Hamburg Iowa, Iowa, Kansas, Missouri, Nebrask, Stoner Drug. Bookmark the permalink.